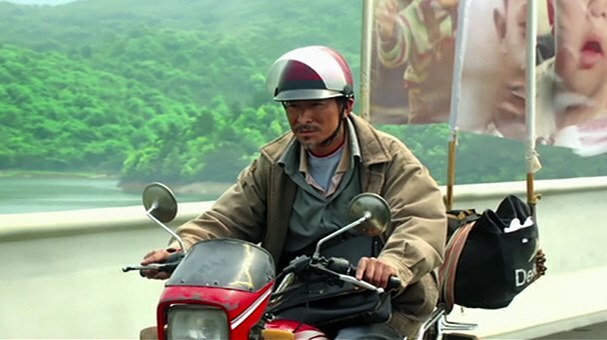 The Odyssey: A middle-aged man on a motorcycle zigzagging through China in a quest for his abducted child. with great photography from Lee Pingbing depicting both the chinese countryside and the crowded city streets. sure extract some tears too if i saw such a moving scene. from the lush countryside as well as pictures from the cities, of the people and spoken in beautiful mandarin. thought that would happen a couple of years ago?). the population growth under control (1,4 billion people in China) there's arisen a market for stold children. cycle he's zigzagging and criss-crossing all over China equipped with flyers, photos and flags mounted on his bike. and actor Jing Boran) who's also an abducted child and he follows Lei on the Odyssey through China. illegal and hasen't been registered and thereby not able to study or to get an ID card. And without an ID card he can't marry or even travel by train. 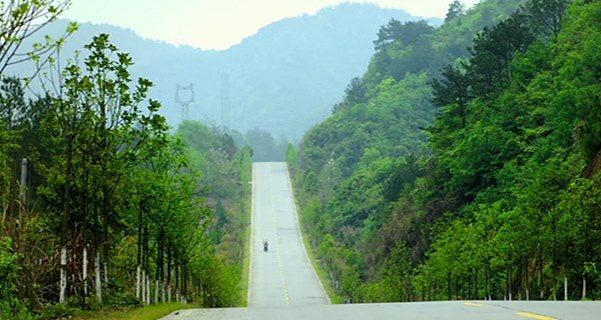 chain-bridges in China, a whole lot, and their search will take some time and a whole lot of fuel for their bike. Will there be a re-union between Zeng and his parents? Yes, there will as i already have mentioned before.